Fraud is scary, and there are many valid reasons for merchants to decline suspicious transactions in the name of fraud prevention. But often, in the quest to avoid abuse, risk-averse vendors take defensive measures too far. According to industry data, the average merchant loses 5.5% of their revenue to false declines — perfectly legitimate orders, rejected because they seem suspicious. 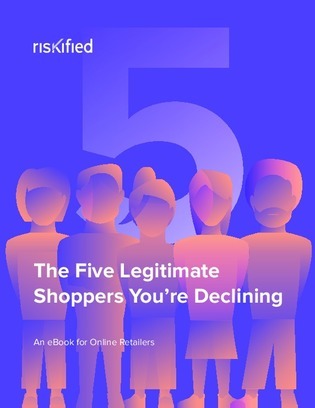 Download this e-book that explains the scope of the false decline problem and identifies 5 archetypes of valid customers that merchants most frequently lose to false declines.